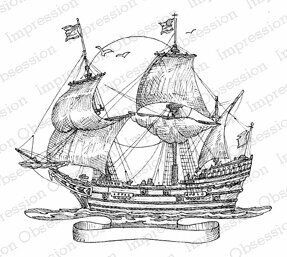 Cling Stamp featuring a large sailing ship. Deep Red stamps are made of a blend of natural rubber and are attached to a cling foam pad for better definition. 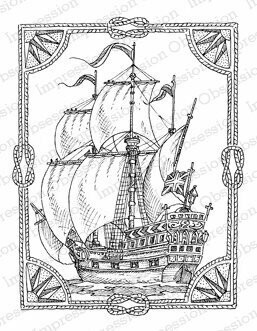 Cling Stamp from Impression Obsession featuring a sailing ship.